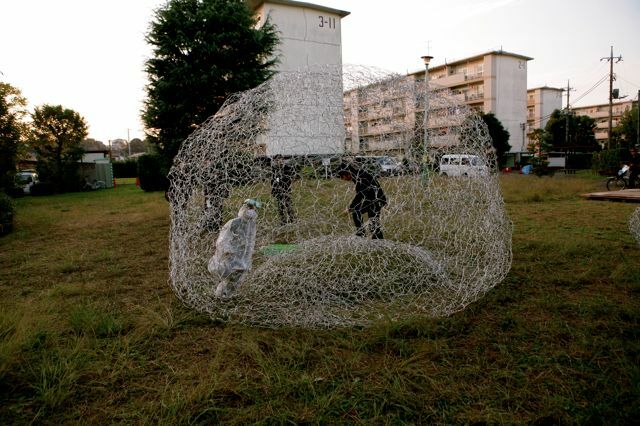 I built this work all in the garden of the apartment complex to express the dynamism in this place, and everyday I gave open-productions or workshops as actions of making relationships with people who live there. That is because I found a common form between my making interpersonal relationships in my everyday life and the knitting a net with one single line. 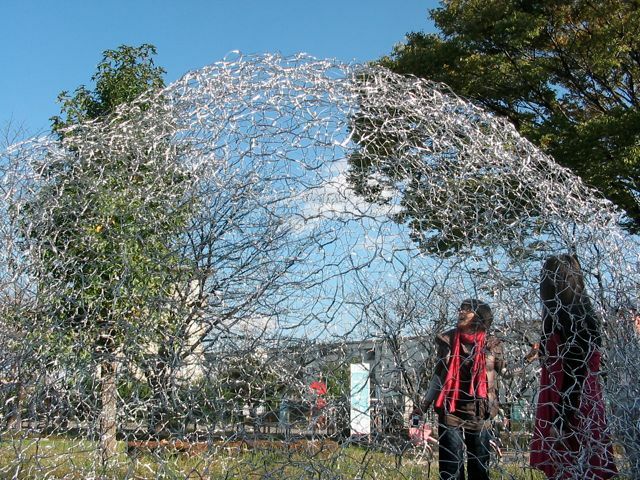 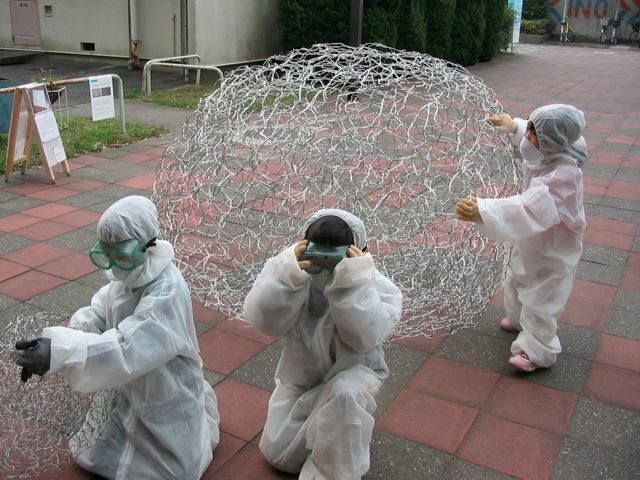 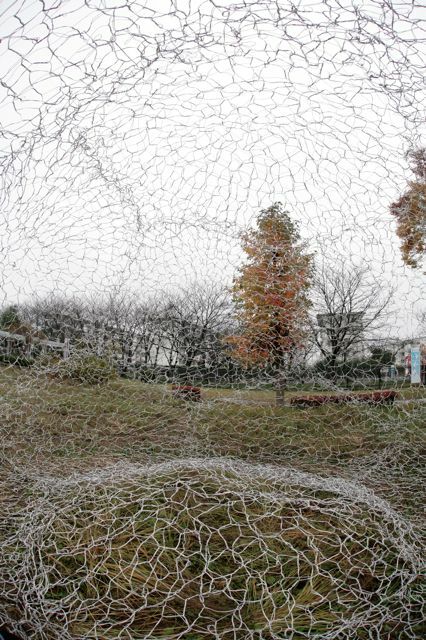 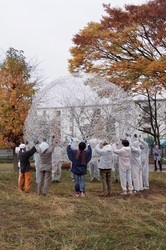 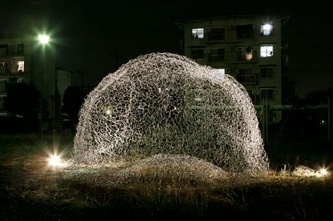 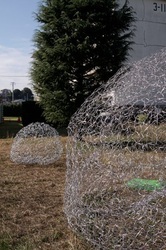 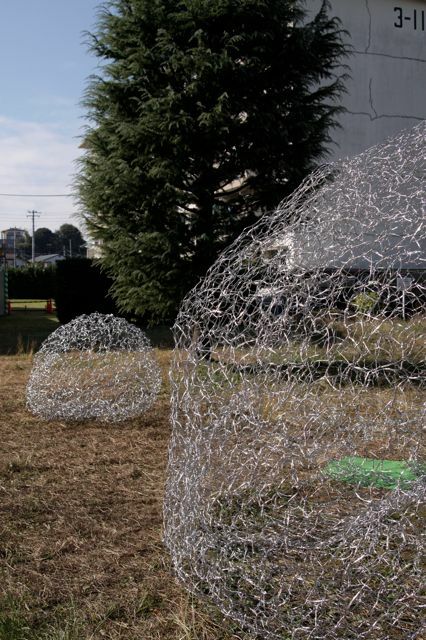 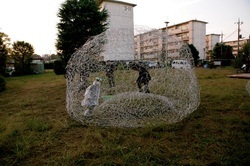 Finally I built a sphere of the steel net to let the residents see from the inside our living environment and our interpersonal relationships.